At left: Fr. Imbarrato arrested on Saturday, Dec. 2 Red Rose Rescue. 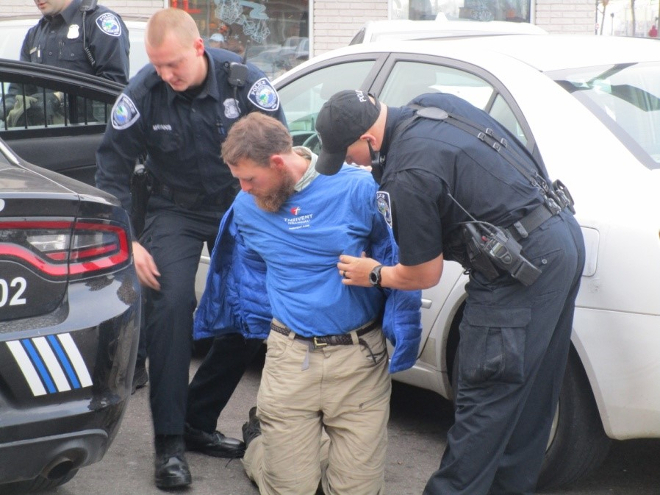 Eleven pro-lifers were arrested Saturday, Dec. 2 in the second Red Rose Rescue. The pro-life defense of the unborn took place in three different clinics: Stephen Brigham’s Capital Women's Services 6323 Georgia Ave NW Suite 210, Washington, DC, the Alexandria Women’s Health Clinic 101 S Whiting St, Alexandria, VA, and the Women’s Center Clinic 6765 Orchard Lake Rd, West Bloomfield Township, MI. owned by abortionist Jacob Kalo. Father Stephen Imbarrato of Priests for Life joined two others, Julia Haag and Joan McKee and entered the D.C. clinic at 2:15 in the afternoon. They were confronted by a totally-packed waiting room—so packed indeed that other women scheduled for abortions were forced to wait in the outside hallway in the building that houses the center. 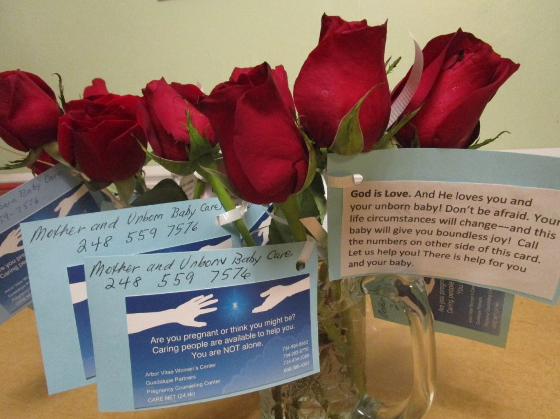 They were able to distribute red roses to all those inside the clinic, offering words of encouragement not to abort their babies. Clinic staff however rounded up all the women and “sequestered” them behind the reception area. The pro-lifers then simply went out into the hallway and continued to talk to the women waiting there. Soon however, the women inside the clinic were allowed to re-enter the waiting room area and the pro-lifers went back into the clinic to speak to them again. 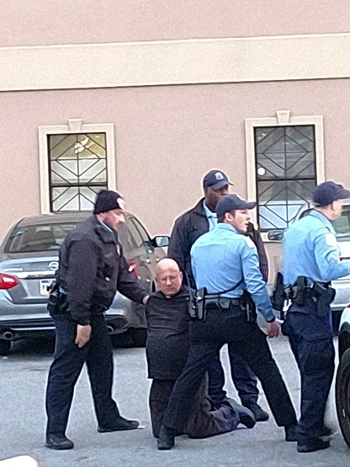 Washington, D.C. police finally arrived and warned the pro-lifers that they were trespassing on private property. By now they had already been inside either the clinic or hallway for over an hour. The pro-lifers went back to the hallway where women scheduled for abortions were still gathered. The D.C. police officers then made a stunning decision. They allowed the three Red Rose Rescuers to stay in the hallway as long as they were not told to leave by the owner/occupant of the building! Their ability to counsel and witness to the women went on for another hour and 45 minutes! It was nearly five o’clock in the early evening before Fr. Imbarrato, Haag and McGee were placed under arrest and removed from the building. Fr. Fidelis Moscinski of the Franciscan Friars of Renewal and Joan Andrews Bell who participated in the first Red Rose Rescue on Sept. 15th were present outside the D.C. abortion center with several others to pray and side walk counsel. They were joined by Mary Wagner who conducts her own Red Rose Rescue witness in Canada. Earlier that day three others entered the Alexandra, VA clinic: 24-year-old Lauren Handy, with Lina Mueller and Michael Webb. They were inside the clinic for almost an hour in defense of the unborn before being placed under arrest. This is the second RRR to occur at this particular location. The rescuers quietly sang hymns such as “Silent Night,” Amazing Grace” and “What Wondrous Love Is This?” until the police arrived and placed each one under arrest. 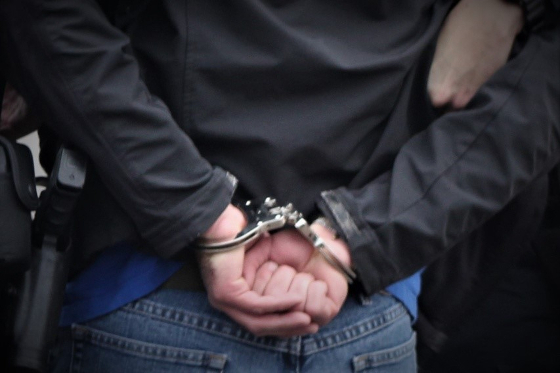 Five West Bloomfield rescuers were charged with violating the city trespass ordinance as well as resisting/obstructing arrest because they practiced passive resistance. Their first court appearance is Dec. 20th at which they will plead “not guilty” and receive a future trial date. A group of sidewalk counselors and prayer supporters gathered outside Kalo’s clinic, including veteran pro-life activist Lynn Mills of Pro-Life Michigan as well as Mark Harrington and Sam Reilly of Created Equal. 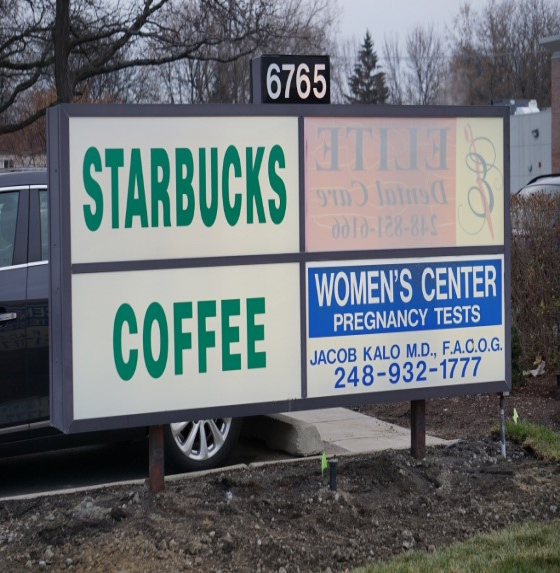 Starbucks shares the same building with Jacob Kalo’s West Bloomfield, MI abortion center. The goal of the Red Rose Rescue is two-fold—first to reach out to women scheduled for abortions in those last minutes before they will indeed go through with their decision to abort their babies. The RRR is the last chance women scheduled for abortions have to hear a voice encouraging them to give live to their babies. It is the hope of the rescuers that a woman or women will get up and leave the clinic with them. 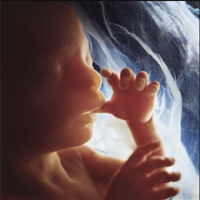 However, if the unborn are still doomed to die, the pro-lifers, convinced that the unborn deserve to be defended, will remain in the clinic—remain in the place where the executions of the innocent occur and place themselves in solidarity with the unwanted. As long as there is a viable pro-life presence in the abortion center, the killing will most likely not take place. Please pray for the eleven Red Rose Rescuers as they prepare to witness to the sanctity of life in court!